Two years ago, we launched the company as SelfScore to provide international students access to fair credit. We remain committed to serving international students who lack access to the traditional banking system. But through serving them, we have developed the technology and infrastructure to serve all college students in the U.S., as well as the general market. 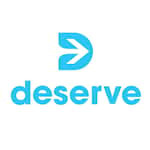 Now we are changing our name to Deserve and launching new and improved products to serve a broader audience of people who are deserving but under-served by traditional banking.